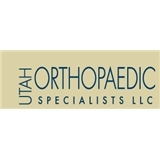 Utah Orthopaedic Specialists, LLC (Murray) - Book Appointment Online! Utah Orthopaedic Specialists continually strives to achieve excellence by delivering high-quality and cost-efficient heath care. Our organization will do everything possible to improve the quality of life for our patients. Our providers represent the best of what medicine has to offer. Through continuing education and expansion of treatment opportunities, our staff embrace and excel in the latest technologies and procedures that in turn foster healing and pain relief for our patients. Our physicians are leading the profession in their area of treatment expertise. Dr.Allen Groebs was wonderful. He was kind and very thorough. He took x-rays and gave me immediate results. I highly recommend him.